Live seafood swimming in tanks may seem squeamish to some but at Unique Seafood, that’s the only way to serve it. Freshness is their top priority. “From the tank to the table” seems to be their motto and seafood lovers can’t be happier. 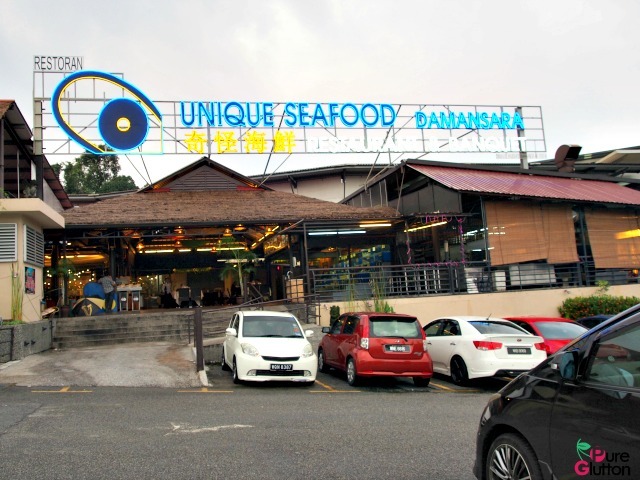 Unique Seafood is one of the earliest restaurants to venture into this live seafood concept. I recall the first time I dined in their Section 13 Petaling Jaya outlet many years ago, it was a roaring novelty then. 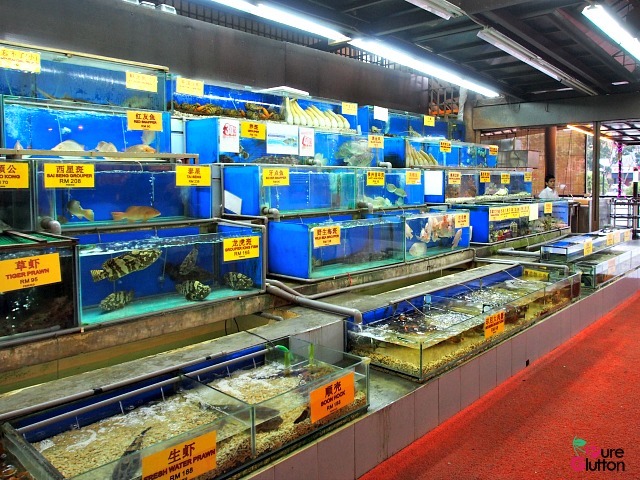 Looking at the many tanks lining up against the wall, it’s quite difficult to pick my choices from the huge varieties of fish, prawns, lobsters, clams, crabs and more premium exotic sea life like the geoduck and Alaskan king crabs. Once you have selected your seafood, the restaurant captain will then recommend a variety of cooking methods for the catch. Eat them raw, sashimi-style, or steamed, poached, fried, boiled – you name it, they can do it. 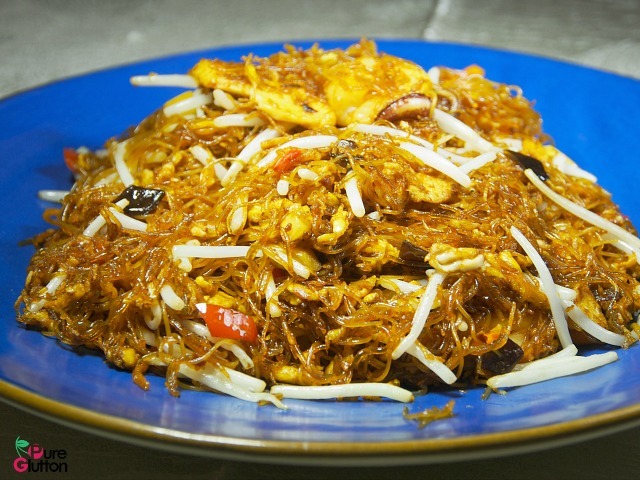 I recently visited one of their newer outlets here in the Klang Valley – their Kota Damansara branch. It’s a huge spacious venue, with the signature seafood tanks on one side and the dining hall across them. 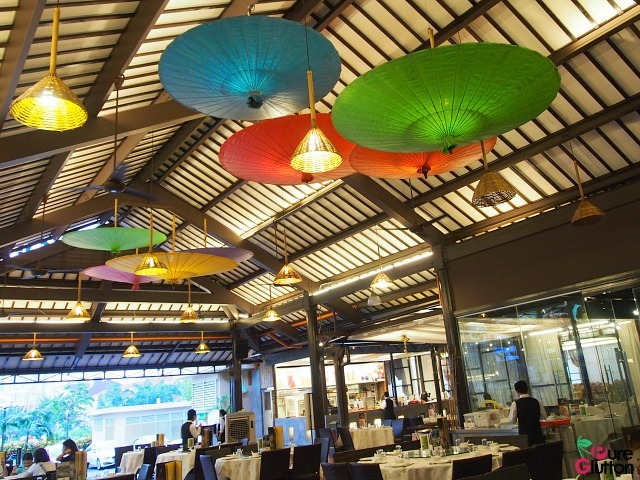 This outlet also has a big banquet hall that can accommodate 50 tables – just perfect for weddings and special events. As I couldn’t decide between fish, prawns and clams, I went for their signature Big Bowl Fish (RM98). The huge wok-like bowl contained not only fish (red snapper), but also tiger prawns and clams. These fresh items were simmered in a broth that’s a mix of Teochew and Tomyum styles. The sweet slightly-cloudy broth had preserved vegetables, ginger, lime leaves, mushrooms, lemongrass, coriander and chilli padi in it. 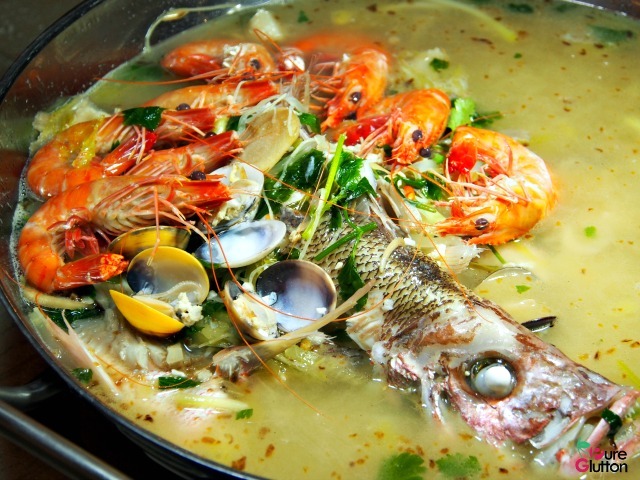 Served simmering on a portable stove, this sweet spicy tangy big bowl of seafood is good to share among 3-4 people. I couldn’t resist the Blood Clams aka cockles (RM28/kg). The ones here are actually sea cockles and much bigger than the regular ones. 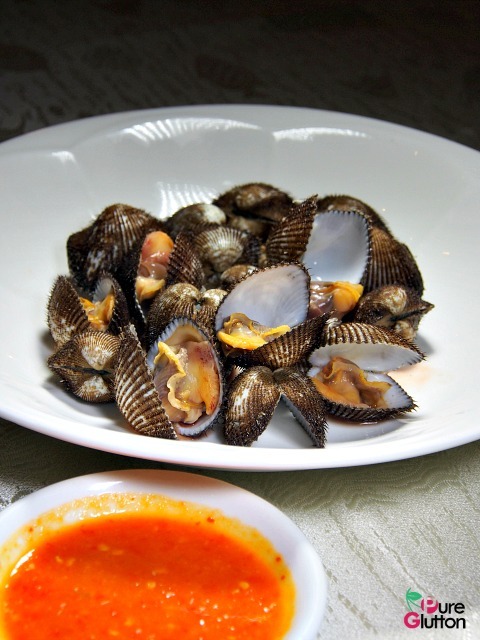 The best way to cook these is to just poach them and dip the sweet morsels in chilli sauce. If you fancy a non-seafood dish, the Braised Chicken Taiwanese-style (RM18) is a good bet. 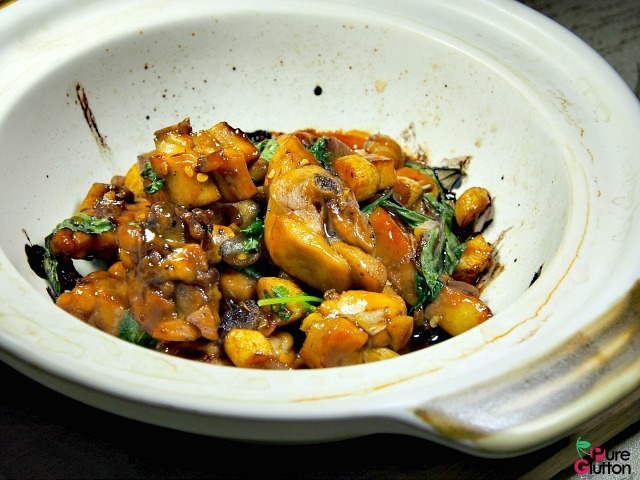 Served in a claypot, the chicken pieces were fragrant with Chinese wine and garlic and the sauce was perfect with white rice. 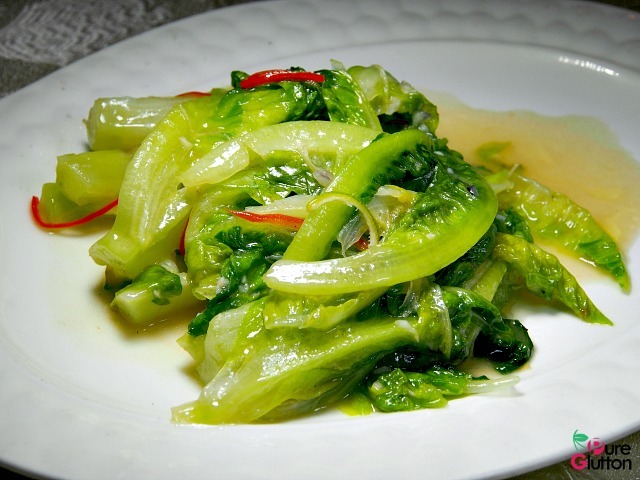 All that’s needed to complete the meal was a plate of stir-fried vegetables and I had the Yau Mak with Lime Juice (RM15). I thought it’s rather odd to use lime juice but the effect was quite minimal. The thinly sliced lime rind gave it a funky tangy bitterish twist though but it somehow blended well with the smattering of salted fish in it. The above dishes are featured in their set meals as well as a la carte menu.